The most expensive day of my life (at least, for my dad) was my wedding day. I stretched my budget and DIYed myself to the bone, but it was still a relatively pricey few hours of white tulle and buttercream. It’s no surprise, then, that I get asked all the time about which credit cards are best for covering the day you say I Do. Luckily, there are some credit cards that are better than others when it comes to wedding planning. There are also a few things to watch out for along the way. The bad news is that there isn’t one specific credit card that is ideal for those large wedding purchases. The good news is that there are actually quite a few cards that you should look toward when it comes time to plan your big day. The first thing you want is a card that will earn you the most in rewards. Considering that the average wedding in 2018 cost over $33,000, that’s a lot of free cash you could be leaving on the table. You aren’t likely to match up much of your spending to specific card categories, though. Instead, you’ll want to choose a card that offers a high, flat rewards rate and the redemptions you want most. You can use a card like the Citi Double Cash -- which will earn you 2% on everything you buy, all the time -- or the Discover it -- which will earn you 2% back on everything in your first year (thanks to CashbackMatch). Both cards offer statement credit redemptions, too, which is essentially the same as cash. 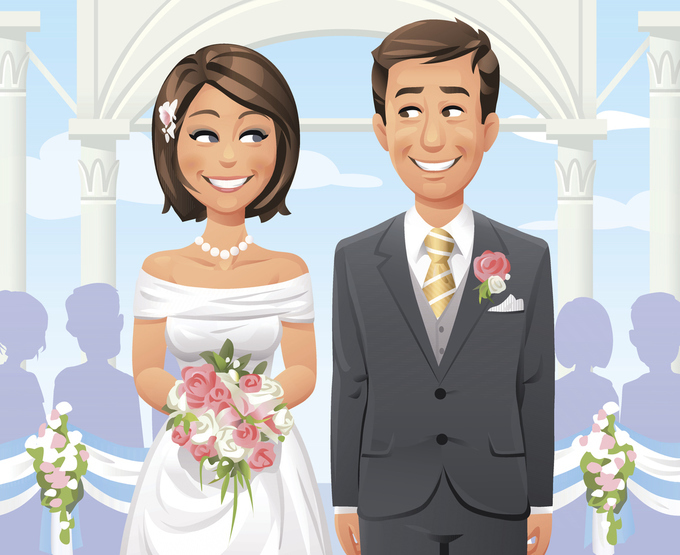 Vendor and/or purchase protection is the next thing you want to look for when picking a card for your wedding spending. Not only do credit cards provide you with more protection than cash, check, or a debit card (just by nature), but many of them will even refund you if certain prices drop. Choosing a card with price protection, for example, will help out quite a bit when your dream dress or centerpieces go on sale three months after you buy them. And if a vendor skips town with your payment, your credit card will be there to lead the fight. It’s important to note that not all vendors will take credit cards, and there are certain restrictions as to what payments card issuers will protect. (A lower price for services, for instance, isn’t usually going to get you a price-match refund.) Be sure to read your card’s specific benefits to learn more. When NOT to Use a Credit Card for Your Big Day Some purchases don’t warrant pulling out a credit card, for a number of reasons. This is especially true on your wedding day, when we are talking about tens of thousands of dollars in expenses. The first thing you’ll want to avoid are fees. Some vendors will charge you an additional fee if you use a credit card to pay your invoice, instead of paying with cash or a check. Those fees are usually to offset the merchant’s processing costs, but they will also negate any rewards you may earn. Unless you’re earning a higher rewards rate than the fee you’ll pay to use a credit card, opt for a check. The second reason you want to stay away from a credit card is if you’re unable to pay your bill in full, or if you’re thinking about carrying the balance over for a while. Rewards will easily be dwarfed by the interest fees you’ll pay, and you could find yourself in serious credit card debt before you know it. Only use a credit card if you can pay it all off, right away. If you’re planning a wedding soon, here are a few things to keep in mind regarding your spending. There’s no reason you should avoid credit cards, unless you aren’t responsible with their repayment. However, if you save the money and just pay off your balance right away, you’ll stay out of debt and also enjoy the rewards/benefits that cards can offer. Rewards don’t matter if you’re paying interest. If you’re carrying a balance from month-to-month, you’re likely paying at least 15% in interest. This is quite a bit more than the 1-5% you may be earning in rewards, making it a poor trade-off. Only spend on a card if you plan to pay off the statement in full. Purchase protection doesn’t always cover services. With many credit cards, you’ll find purchase protection offered for a variety of products and merchants. However, many of these cards have exclusions in place for services. Yes, your wedding dress will likely be covered if it arrives tattered or three sizes smaller than you ordered. However, you may not be covered by your credit card if your photographer doesn’t get the exact shots you wanted. Be sure to read the fine print before you rely on your card’s protections. Your wedding day is one of the most exciting days of your life. The right credit card can ensure that you’re carefree along the way, and that you earn as many rewards as possible.